Five Things Friday: Garden Ideas for Children | Keeps Me Out Of Mischief! The summer is finally upon us and there’s nothing my toddler likes to do more than to spend time pottering about in the garden. He’s really lucky as the preschool he attends has a lot of these ideas already in place, I’m really jealous of their mud kitchen, but also very grateful that he traipses all the dirt into their building and not our house! Here’s some inspiration to make the most of your garden for you little ones. 1. I found this on a Spanish site, but you only really need the picture to understand what’s going on! I fear Toddler B would liberate more items from the kitchen to add to this set up! 2. 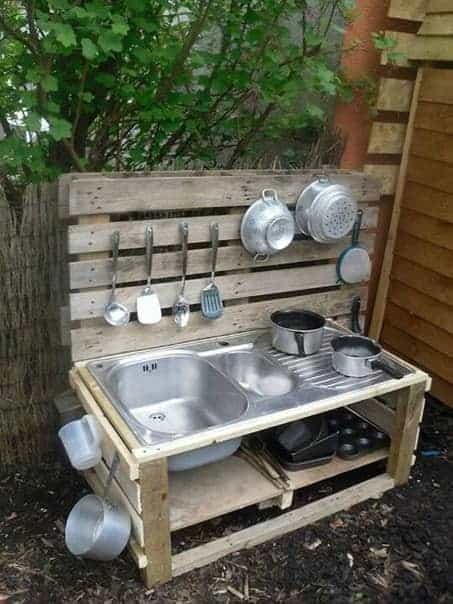 1001 Gardens shares this mud kitchen which wouldn’t stay this pristine looking for long! Again I would fear for my kitchen utensils! 3. Alternative Gardening has this bean pole hideaway. 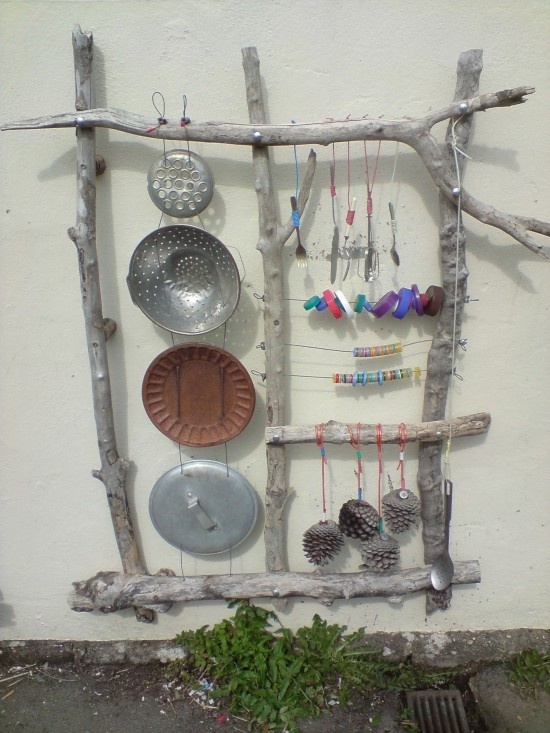 The kids would love to build this with you, watch it grow and eat the results! 4. Mummy Musings and Mayhem shares this construction site and a load of other ideas about natural landscaping. 5. I found this water wall on a site from the Netherlands, again you don’t really need to read the words to understand how to create it!